History Notes! The Principate (31BC-AD235) | Histastrophe! It’s easy to call “Time Out!” when you already have everything. 1. (Octavian) Augustus Caesar (31BC-AD14): FIRST! 2. Army needed to know someone in authority; serves their best interests. -Piece of legislature passed by Caracalla. a) Every ‘Free Born Male’ is now a Roman Citizen. 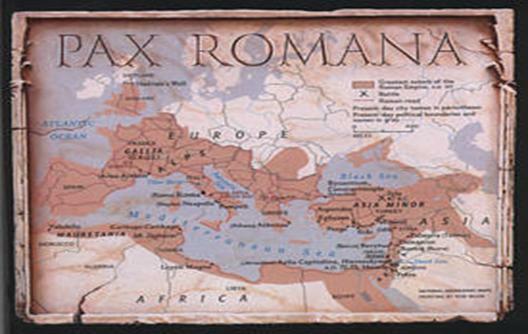 b) Represents incorporation of Pax Romana. You are one of us. In demonstration of. c) Caracalla was motivated to pass this because as the Roman Empire got bigger, you must defend more borders which means you need more men to serve in the Legion…who must be Roman in order to serve, you get me? Began with the assassination of Emperor Alexander Severus by his own troops. i. Increased pressure from barbarians. Needs STRONG leader. ii. Plague passed through. Like it do. -Soldiers on fixed incomes, asked for raise. Empire would start minting more coins. Too small, devalue!!! MORE PLZ! F this, let’s declare our general Emperor, yeah? He’ll give us the moneys. i. Eventually, Senate does what the Emperor says. ii. Army starts to take steps to ensure who they wanted becomes new Emperor. i. After death of Nero (An embarrassing show of attempted suicide), Vespasian rules and then his sons follow. ii. When an Emperor is acclaimed by the army, he gives Donative to army. iii. Impose high degree of authority over Empire. Pingback: History Notes! Society and Culture During the Principate | Histastrophe!